Hotel “ShodlikPalace” was renovated in 1997, from that moment hotel began a successful job as an international hotel of European class. Starting in 2010, the company “Dolores Asia Tours” successfully runs the hotel “ShodlikPalace” in her usual high level of hospitality and service. 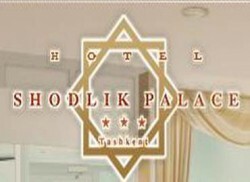 For such a short time hotel “ShodlikPalace” took the leading place among the hotel industry ofUzbekistanandTashkent.